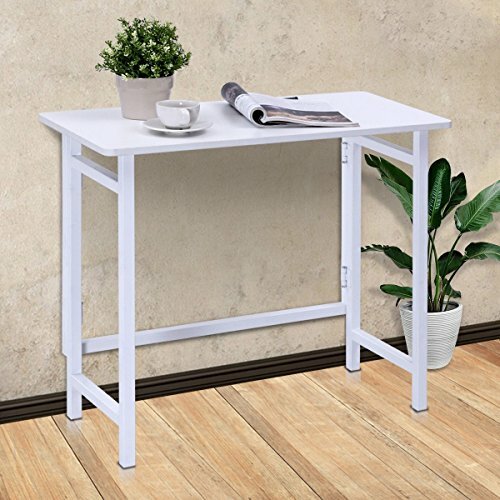 The folding table comes with wood desktop and solid steel frame, which is heavy duty, sturdy, durable and large weight capacity. It was painted to white will suit for any decor and bring new energy to your home or sturdy room. The foldable design for easily store and move will meet your daily demands. And it is multifunction, can be served as computer desk ,writing table or coffee table, dining table as you like. The table will bring you more enjoyment in your sturdy experience or leisure time. Don't hesitant to buy one!